This is a left-hand hoosier latch. 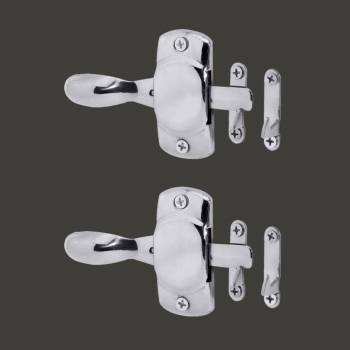 (2) pieces This lefthand chrome reproduction Hoosier latch is 3-3/4 inch long. 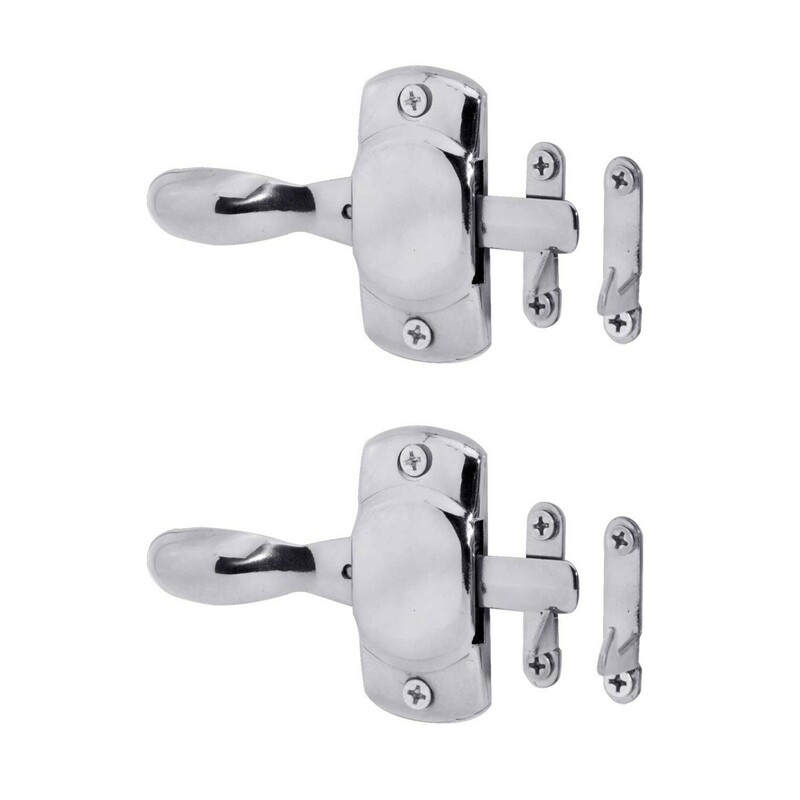 Includes both flush catch AND 3/8 inch offset catch plus 4 mounting screws. Useable for icebox or pie safe.